When Camilla and I started leading a church in 1999, we didn’t have a clue. We loved God with all our hearts and prayed with faith, but our prayers seldom moved mountains. There was this one time when there was a lot of sickness going around so we organized a healing meeting. We laid hands on the sick, prayed like mad, and more people got sick! We joke about it now, but we weren’t laughing then. Why was it so hard to heal people? If I could go back in time and give that green and keen couple one book to read, it would be Andrew Wommack’s, A Better Way to Pray. It would have led to radical changes in the way we did things. I now know that there is right way and a wrong way to pray. Jesus said as much in Matthew 6:5-8. One way pleases the Lord and results in supernatural transformation; the other way achieves nothing of lasting significance. I have learned much in my grace walk, but learning how to pray effectively has probably led to the biggest changes in the lives of those I touch. Just the other day I prayed for a man who had come out of a car crash with serious head injuries. He was in a coma heading for death, but I prayed and now he will live. God is good! I want to list some contrasts between what I learned as the traditional way to pray and what I now understand is the Biblical way to pray. I’m not saying I have discovered the best way to pray, but it is definitely better. 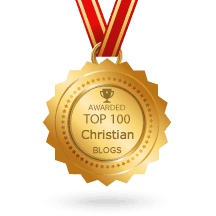 As Wommack says, I haven’t arrived – but I’ve left! If you find these contrasts helpful, I recommend reading Wommack’s book. Traditional way to pray: Pound the gates of heaven with persistent prayer (like the widow) until you get your breakthrough. Biblical way to pray: Ask and you shall receive. Study the scriptures and you will never find Jesus begging God to heal people. Jesus said “everyone who asks receives” (Mt 7:8). What is the condition for receiving? Asking! How many times do you have to ask before you’ve asked? Just once! We must settle it in our hearts that Jesus’ words are true and that whatever we ask for in prayer, we will receive, and quickly (Mk 11:24). Sometimes there may be a delay in the manifestation of the healing (more on this later), but God is never the reason for the delay. Much of what passes for prayer is wishful thinking. “I know God can heal you, I’m just not sure that He will.” Or how about this one, “God wants to heal you, but if He does it now no one will be more surprised than me!” You can pretty much guarantee that these sorts of prayers will change nothing, because they are empty of faith. James 5:15 says “the prayer offered in faith will make the sick person well.” If you are not sure that God will answer your prayers, He probably won’t (Jas 1:6-7). You have hope but no faith. Faith is being sure of what we hope for and certain of what we don’t yet see (He 11:1). Biblical: Pray according to His will. How can we pray in faith if we are uncertain about His will? One of the greatest tragedies of the modern church is that so many are uncertain regarding God’s will for forgiveness, healing, deliverance, and provision – despite the emphatic promises in His word. If you want to know the Father’s heart, look at Jesus. He healed every sick person who came to Him (Mt 8:16, 12:15, 14:36). He never gave anyone leprosy to teach them character and neither will He make you sick to teach you things. His will for healing and deliverance is inseparable from His will for salvation. He wants everyone forgiven, healed, delivered today! What’s the hold up? We are! A broken creation eagerly waits for the sons of God to rise up in this revelation and enforce Christ’s victory in every place where the kingdom has not yet come. Traditional: Ask God to forgive/heal/provide/deliver/pour out His Spirit. Biblical: Thank Him that He has already done all of those things! It’s pointless asking God to do something He’s already done. Look at the way Jesus prayed and you will see there was very little asking and a whole lot of thanking and commanding. Jesus has given us clear instructions. He said: “heal the sick” (Mt 10:8). He didn’t say “pray and ask God to heal the sick.” No, you heal them. The problem with that prayer meeting I mentioned above was that we spent all of our time asking God to do something He had commanded us to do. We were passing the buck and denying the finished work of the cross. So how do we heal the sick? A good place to start is by thanking and praising Him for what He has already done. Traditional: Talk to God about your mountain. Biblical: Talk to your mountain about your God! God doesn’t need to be informed about your problems – He already knows! When we are faced with a mountain-sized problem, the average believer says, “God would you move this mountain for me?” But Jesus told us to speak directly to our mountains and command them to be cast into the sea (Mk 11:22-23). So how do we speak to our mountains? I’ll look at that in Part 2 of this study. That really is a superb book; like a lot of Andrew’s material. I agree with the content and spirit of this message. However, I am curious about your thoughts on a few questions it raises for me. Why does Paul tell Timothy to have a little wine in response to Timothy’s stomach ailment and frequent illnesses rather than suggest healing prayer? Why was there a need for Jesus to touch the blind man twice in Mark 8 before healing was received? Why wasn’t it completed the first time? I believe it was symbollic of our spiritual eyes being opened with increasing growth in revelation of truth. My point is that sometimes there is purpose in delayed manifestation or lack of immediate healing. We will not all experience immediate healing. It is already secured at the cross as you mentioned, but it may not be experienced in reality until earthly death or the return of Christ. We are called to heal and announce the Kingdom, but it is not fully consumated until Christ returns in glory. Some will be healed, and some won’t. There are many different reasons for healing or lack of immediate healing. Many times faith is not the issue, and many times it is the issue. There are several explanations that have nothing to do with long-term illness. Being a frequent traveler, Timothy may have got the first-century equivalent of “Delhi Belly.” Dirty water will give you an upset tummy, especially if your immune system is unaccustomed to local conditions. But the alcohol in wine can kill harmful pathogens. Why did Jesus pray twice? I will talk more about delayed manifestations in healing in Part 3. Hi Louis. I removed the dud link and added some comments about Tim’s tummy. Thanks Paul! This is really a break through for me, I have heard much about praying in faith but only did I read the above post did I see what it means. This is really wonderful and I cannot wait to pray in true faith! Awaiting eagerly for part two. Absolutely awesome article Paul! There are so many traditions when it comes to prayer. wow what an awesome read!! 🙂 thx! Thank you Paul for an eyes-opening sharing! As Christians I firmly believe we were all healed by the finished work of Christ on the cross 2000 years ago; nevertheless our body/health is still affected by the food we eat just as our lives are affected by the sins we do although our entire life’s sins are fully forgiven. That’s the reason I think is the need of Paul’s advise to Timothy on food! My question to Brandon is this: Why do we need healing when we meet our earthly death or on the return of Christ? We will then have a new incorruptible body like our master. He died to give us forgiveness, healing and protection; He want us to experience them all while we are on this planet earth! Why postpone your healing when you can have it today! I don’t disagree with any of your comments. I was asking how he would explain it. I completely agree that our healing was secured at the cross, but my point is that when it is delayed or not manifested right away, the reason is not always a lack of faith. Sometimes “death” of our physical bodies IS the healing, if we’re in Christ. When Jesus healed, it was to announce the Kingdom of God, and we are called to do the same. The reality is that just as we are in process of being sanctified by the Holy Spirit to become more aligned with Christ, we are also in process of being healed in one form or another. Planet Earth is not the goal. We have a higher calling. I don’t dispute the reality of healing for all who are in Christ, but what constitutes healing is more than a physical manifestation. Thank God my Jesus didn’t agree with her theology nor hindered by her lack of faith. John 11:43 – Jesus called in a loud voice, “Lazarus, come out!” and The dead man came out. Don’t trust in your faith; trust in Jesus. Don’t worry about your faith or the lack of it. When we see the goodness of our loving heavenly Father; God see our faith. You’re missing my point, and you’re assuming that I have a theology that I do not have. I fully and completely believe that our healing for any and everything was secured 2,000 years ago. I’m simply saying that there are numerous reasons that it is sometimes not experienced in this life that have nothing to do with faith. I do pray for people to be healed, and I have prayed for the dead to be raised. If people are ALWAYS supposed to be healed when prayed for, then why is one of the gifts of the Spirit a gift of healing? Remember Paul said, and SOME are given to be… This implies that only some have such a gift for healing. However, yes we all can have some measure of each gift that is sometimes manifested for particular circumstances. The reason ALL were healed that Jesus prayed for is because Jesus was perfectly in tune with His Father. Jesus Himself said that He only does what He sees His Father doing, so first Jesus had to know what the Father wanted. Graham Cooke writes a very good short book on this subject called “Crafted Prayer”. We have to develop a life of intimacy with the Father to discern the Spirit’s leading and pray “according to [His] will”, not “IF” it be Thy will. If the way you perceive things is true, then we would have eternal life on this Earth because no sickness would slay us and our physical bodies would not wear out. Yet as far as I know, only a few people have ever been taken directly to Heaven without experiencing bodily death. If healing is appropriated in the same fashion as salvation, then you better hope and pray that your faith for salvation is sufficient, otherwise you risk eternal separation from God. Healing is an element or component of our salvation, and yet many are healed apart from and prior to salvation based on the prayer of a believer. The apostle Paul said that we ARE saved, we are being saved, and we will be saved. That implies that salvation is not fully consumated until the return of Christ, and in that same way. Healing was meant to serve as an announcement of the Kingdom of God being at hand, but the Kingdom is not completely realized in its fullness even though Christ already accomplished the victory. It’s called the “Already” and the “Not Yet”, great book about it by George E. Ladd. Last thing I have to say on the subject… If you really believe it works the way you perceive it and that we are always the only thing that stands in the way of healing, then why are you not out there doing it? Why aren’t you raising the dead, why aren’t you healing cancer, why do you have friends and family members dying? Why are you not at the hospitals putting the doctors out of a job? If you really truly believe it is simply a matter of faith and acting on that faith, then you should feel compelled to extend the grace and compassion of God to everyone in prayers for healing, and if you’re not doing that, then ask yourself why you’re robbing so many of healing. My contention is, that it requires the Holy Spirit’s leading and prompting and us putting our hands and hearts into agreement with what the Father wants to do. When we were told in Scripture to heal the sick, it does not specify that ALL the sick would be healed. It is a declaration of what we are called to do. A baseball player is “called” to hit homeruns, but he doesn’t hit a homerun every time he steps up to the plate. We are simply told what is expected of us, but it’s up to God to deliver the healing at our invitation. Just a quick observation: Have you ever wondered how John G. Lake died? This was a man who healed people routinely, a man who sent healing technicians into the homes of Spokane with the instructions “Don’t come back until they’re healed.” The longest anyone was gone was 3 weeks. So yes, there were delayed manifestations, but most (all?) were healed in the end. I hear stories like this and I think the kingdom has come in power! So how does a man who’s used to healing everyone eventually die? He died of a massive stroke. Incidentally, his first wife also died of a stroke. And for all you trivia-lovers, JGL very nearly went down with the Titanic. He was offered passage on the maiden voyage and turned it down. Regarding delayed manifestations – I will talk more about these in Part 3 of this study. I believe the Kingdom has come in power, but it is not fully realized or consumated completely in “our” time until the return of Christ. God is not bound by time, and because He is outside time, the victory is completed and the Kingdom of God is at hand. It is like when a war has a decisive battle, and the outcome of the war is determined, but there are still battles being fought to end the hostilities permanently. Our war is won, but there are still battles. If the Kingdom was here presently in the fullness of its power and final form, then Christ would have returned already. I think that the more we go into the world announcing the Kingdom, praying for the sick, and preaching the Gospel, the more we will see the inbreaking reality of the Kingdom. It’s like you said in response to the universalist thought process on the 1 Peter thread, it is God’s will that all should be saved, but the reality is that not all will be saved. It is God’s will that all would be healed, but the reality is not all will be healed. I know, you can say that just like salvation it is a gift extended to them that they have to receive by faith, yet when healings took place in the Bible, sometimes it was the faith of the person “giving”, and sometimes it was the faith of the person “receiving” that brought healing. The point is, in regard to salvation, only the person’s own faith brings salvation. I can’t have faith for someone else to receive the gift of salvation, but I can have faith for someone else to receive healing. Also, there are different kinds of healing, and what God considers “healing” is not always in line with what we envision. People can be sick in spirit, sick in mind, sick in emotions, or sick in body. Everything in Scripture points to a process taking place, sometimes it’s a short or even immediate process, sometimes it’s delayed. Healing is often a process with different end results in how it is manifested. What may constitute healing for one person may not be the same for another. God works differently in different situations to reach different people, like the apostle Paul saying he was all things to all people that “some” might be saved. Through Christ’s finished work on the cross, we can depend on Him for His resurrection life to freely flow in our physical body from the crown of our head to the soles of our feet. Romas 8:11 – And if the Spirit of him who raised Jesus from the dead is living in you, he who raised Christ from the dead will also give life to your mortal bodies because of his Spirit who lives in you. Jesus teaches His followers to pray “Thy will be done on earth as it is in heaven”. Since there is no disease or sickness waiting for us in heaven; it is never God’s will for believer to be stricken with disease or sickness while we are living on this earth! 1 Cor 15:55 -“Where, O death, is your victory? Where, O death, is your sting?” Jesus has conquered death for us by His death and resurrection! . CHRISTIAN NEVER DIES; THEY ONLY FALLEN ASLEEP when it is time for them to pass on. No wonder it is called a wake service! 🙂 1 Cor. 15:20 – But Christ has indeed been raised from the dead, the firstfruits of those who have fallen asleep. On the cross, Jesus bore not just our sins, but also our sickness, diseases and infirmities, “ by His stripes we were healed”! 1 Cor 11:24 and when he had given thanks, he broke it and said, “This is my body, which is for you (for our healing); do this in remembrance of me.” & 1 Cor 11: 29 For those who eat and drink without discerning the body of Christ (that His body was broken for us) eat and drink judgment on themselves. 3 John 1:2 – Beloved, I pray that you may prosper in all things and be in health, just as your soul prospers. Unless we believe that it’s the Lord’s good pleasure for us to be in health just as our soul prospers, how can we have a confident expectation to be healed and see those we prayed for healed? Jesus healed ALL who came to him! Before, It was really a miracle when someone was healed through my ministry. Now, I see the miraculous hands of God working through me every day of my life. A child of God who doubts his salvation is questioning the efficacy of Christ’s finished work on the cross! It’s not about me or you; it’s all about JESUS! Hallelujah!!! Patrick you basically ignored most of the questions I asked you. You conveniently left out a big chunk of 1 Corinthians 15 which contradicts your claims regarding death. Start in verse 35 through 58. … “flesh and blood cannot inherit the kingdom of God” We get glimpses but do not fully inherit it until we are transformed … “the DEAD will be (future tense) raised imperishable, and we will be changed.” Our present bodies ARE perishable according to the Word of God. Full transformation is not experienced in the flesh .. “WHEN the perishable has been clothed with the imperishable, and the MORTAL with immortality, THEN the saying that is written will come true: ‘Death has been swallowed up in victory. '” This is a future tense conditional statement, meaning it isn’t completed while we are clothed in the flesh. We are certain of the victory without yet experiencing the full reward/reality, but God does healing to us sometimes. I already explained why ALL were healed with Jesus. You can’t take things out of context to make Scripture fit your claims. Physical death is God’s mercy releasing us from the curse of the perishable so that we can enter into our FULL inheritance. Thank you Brandon for your sharing! I didn’t answer you directly because my intention is to share generally for all to read. After going through the comments again; I think I have covered most of the issues you raised. Bye! God bless! It’s great to see the sort of vibrant dialogue we’re getting on these posts, but I want to remind everyone that comments are supposed to be <250 words. This thread is getting unwieldy. In the interests of giving everyone a turn, I will either not publish comments that exceed this limit or I will cut them off after about 250 words. Thank you Paul for allowing me to write on your blog. I was planning to share on “eternal salvation” but I think I will stop here so as not to interrupt your sharing on prayer Part II & III. Keep up the good works. God bless! It’s funny. I see so much on this website that God has brought to bear on my life… without the benefit of teaching, but by dwelling in His House. When I say “dwelling in His House”, I mean remaining in a place of awe, wonder and appreciation that I of my own works, have absolutely no standing with God, but His grace and love brings me to the place where His Spirit changes who I am! And His Spirit changes how I think. When I pray… it’s so different than before! It’s not asking… it’s closer to commanding things into being. And why should I, of all people, be brought to this place by the Almighty God? Shouldn’t I be hidden away in the basement of Christianity? Paul, I understand the words of Jesus concerning prayer. I also understand what you say about prayer. I have heard it said that yes God does answer your exact prayer(mark11:24), and when it seems like sometimes it might not get answered because its taking a long time, mabee God wants something else for you, mabee its not HIs will that HE asnweres your prayer. This confuses the point of what jesus said. Either you believe 100% in God answering your exact prayer, or God is a liar and mark11:24, and other like minded scriptures are false. I prayed for a specific job that I want, but I am still waiting for it going on for 2 months now. Why is it taking so long? Why is it taking so long? IS it because I dont continue to confess that promise every day untill it happens? isnt faith asking for it one time and waiting for it? I have been reading your series on prayer and have found it to be interesting and insightful. My question is what about scripture that says our prayers are hindered by sin and disobedience (1 Peter 3:12)? If what I am asking is not in God’s will for my life, will he refuse to listen/answer? In 1Thes 5:17, Apostle Paul is saying ‘pray without ceasing’. What he is trying to convey? How can we see this through the lens of grace? That is the way God wants to communicate with us , you express it well Jennie. Your lack of discernment on this issue leads me to question ALL your previous posts and now I will have to regard everything I read from you extremely critically. Cmon man, do some due diligence on these ppl before praising them. I Don’t agree with your views that you can claim healing just because you say it. I think you are not exegeting scripture correctly in this area. Firstly, may I say that I love the grace focus of your blog and articles/books, but I am thus all the more disheartened that you would compromise such good news by tying it in with the prosperity gospel. Try living among your brothers & sisters in Indonesia, the Philippines, Greece or Syria, or any persecuted, impoverished community. Jesus said take up your cross and follow me – and the son of man had nowhere to lay his head. In the book of Acts & Paul’s epistles we don’t see a church full of prosperity – we see persecution, we see Paul living as a nomad, we see the believers sharing everything in common, we see requests from Paul to send money to the (poor) churches. “Believe this and you will be wealthy and healthy” simply is not borne out by Scripture. The same God who heals diseases could have saved a lot of bother by simply preventing them in the first place. Sickness and hardship is often God’s fog horn to a deaf world. I beg you please detach this from your message. Grace is enough. The fruit of the Spirit is Love, Joy, Peace (not prosperity). Wendy, as a follower of Christ, I must believe in healing, for he healed all who came to him. If I am not seeing all healed – and I’m not – I cannot fault the Lord. Hi Paul, Your response actually agrees with my position! I believe in healing – but I do not presuppose to know when God will heal and when He will not – therefore, I would say that “if the Lord wills it” is the appropriate attitude rather than a assumption that He always does will it … only to find the person is not healed (which leaves the person involved messed up spiritually and in utter turmoil as to why God has just demonstrated ever so clearly that He does NOT love them .. which is the only logical conclusion they can come to). You have clearly not been on the receiving end of failed healing, or you would know first hand the destructive effect of such teaching on a tender soul. Much better (IMHO) to allow God to use ALL circumstances for His benefit – as per Joseph sold into slavery etc – that to teach that Jesus wants us to heal everyone. Thoughts? There are two views: (1) believing that the Lord has provided everything we need for wholeness and godliness through the cross, or (2) believing he has not provided everything we need that sometimes he wills it and sometimes he doesn’t. Both views can lead to the idea that “I must do something” to make my healing happen and both can lead to disappointment when nothing seems to happen. However, even though I have not seen healings 100% of the time the moment I prayed, I remain convinced that the first view is the more scriptural, that every blessing has been made available in the spiritual realm (Eph 1:3) and is ours in Christ. Does this destroy the tender soul? Only if we’re dishonest and unreal about our incomplete understanding. The fact is Jesus healed 100% of the people 100% of the time. I prefer to base my understanding on Christ’s experience than my own, because he’s better at this stuff than me and I’m still learning. I would treat slavery and sickness as different subjects. maintain divine health. One day when our race is run we will commit our spirit to the lord. The moment I started listening to Andrew wommack I have never been the same….I always questioned myself, How am I supposed to pray then?!!! it’s so funny and painful to realise that I was praying the wrong way and in a way that was not fulfilling at all. This read has made it clear for me now and can’t wait for Part 2. Sometimes others have tried to fill holes where they feel this isn’t good enough. That’s fine. However, my comment is that we must also trust that God has enabled us to have this kind of simpler faith — that God is not the reason for that shortcoming either. The issue shouldn’t be self. Self-esteem comes from grace, it’s not a result of our works. For years I prayed and seemingly nothing ever happened. I have not read this book yet, but from what I’ve seen on the videos, I had already asked God to reveal to me. He has been and im starting to see prayers answered right in front of me!! I’ve already been helping those who are demonized (a whopping 9 months) but it’s amazing the power of God we have thru Christ Jesus. I just bought The Believers Authority and it has answered so many of the things I’ve questioned since I began helping the demonized. Be warned, a lot of the deliverance ministry you see is not following the biblical models of casting out demons. I do not look for demons, im just sharing the gospel with others and demons are manifesting as a result. For some reason this has been happening to me a lot. Apparently God has me in this direction, but I want to be effective for Him in all areas. I have not healed anyone yet but I did lay hands on my wife and pray once (silently) for simple soreness. She wasn’t healed that moment but she did ask if I had prayed while rubbing her back. She stated that she felt that I had prayed. I was very encouraged. Now I see that prayer is valuable to the believer but dealing with demons, sickness of all kinds and even death is a command away thru our Authority in Christ. Totally reblogged you on my blog. Great post. As always. Keep up the good work. Wonderful teaching its eye opening and very encouraging. Thanks so much Paul for your teachings am greatly inspired.